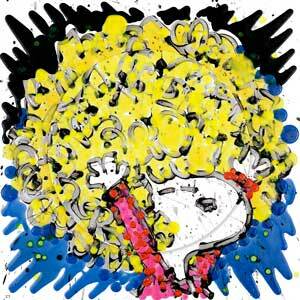 TOM EVERHART NEW PRINTS, NEW VIDEOS AND THE NEW BOOK! 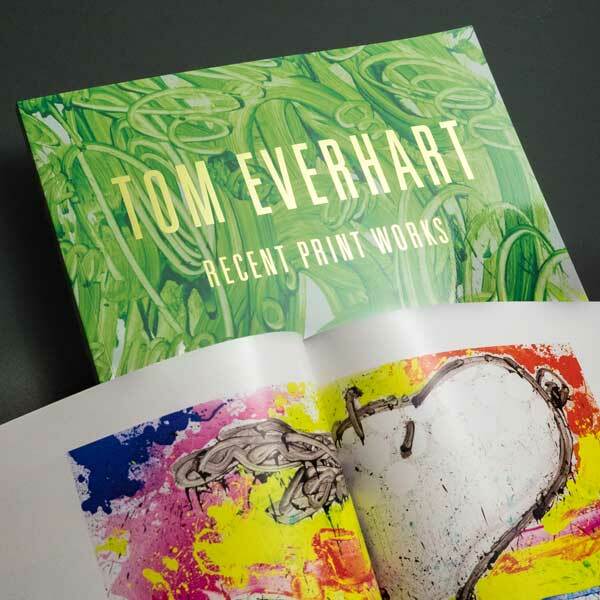 For years Tom Everhart fans and galleries have been hoping that one day he would put out a book of his art. That day has come. 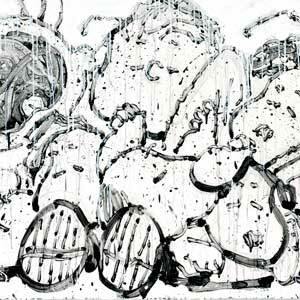 We are happy to announce this 104 page catalogue Raisonné, featuring the last several years of Everhart's published art. 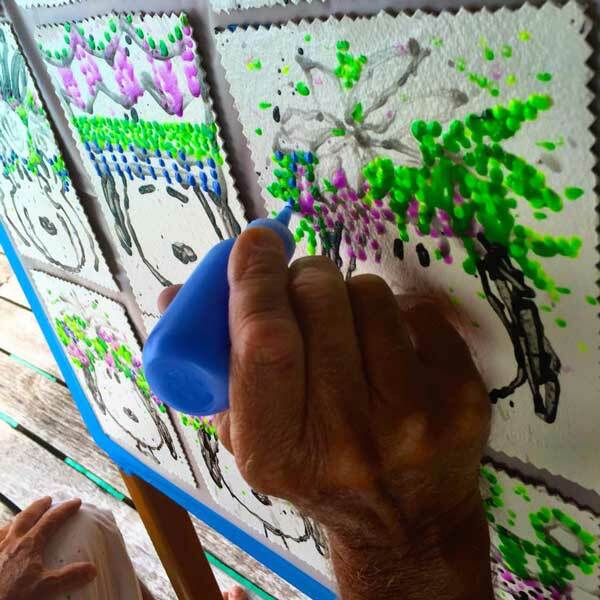 "My studio in Venice faces out to a neighborhood involved in an evolution of rapid visual change. Accompanying this change is a new sense of contemporary commercial fashion and style supported on the street by the constant new flow of very styled ‘Hipsters’." 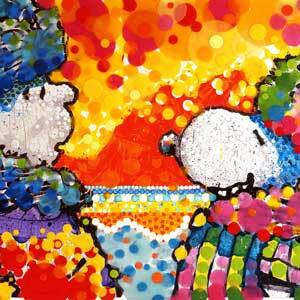 "When I first saw Sparky (Charles M. Schulz) draw, roughly in pencil and then finally in India ink, that beautiful struggle between his characters of Snoopy and Linus over his security blanket, I told him that it had a quality and meaningful expression through which the personality felt like some kind of a coup d’état event." "Sparky’s (Charles Schulz) original drawing from his strip that was used for the visual object matter originally incorporated his character of Rerun, Linus's little brother. But as I deconstructed and reconstructed his drawing, I replaced his character of Rerun with his slightly larger character of Linus." 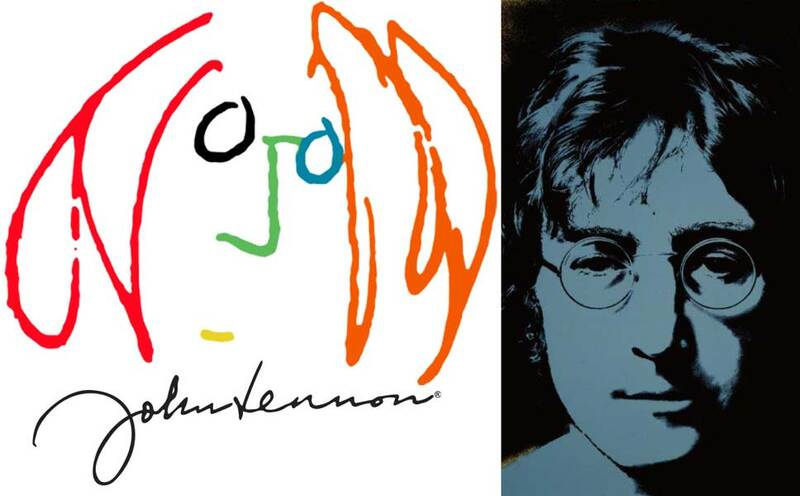 "Nine years of this inspiration later after we first met in 1980, I was given a maximum of two years to live. With ants still very much in my pants, I knew I needed to immediately make this new art before it was too late." 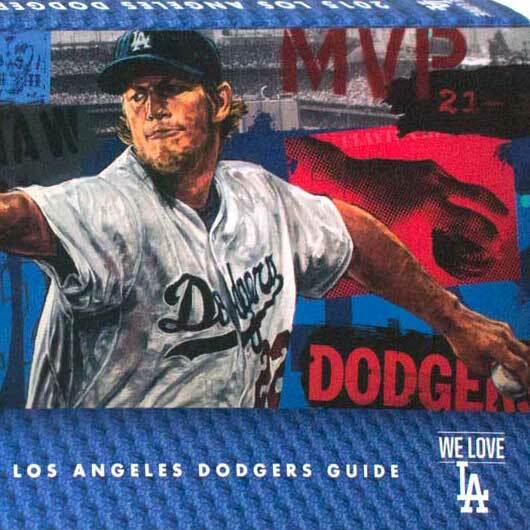 This year the devoted fans of the Los Angeles Dodgers will spend the whole season with the art of Stephen Holland literally in their hands. 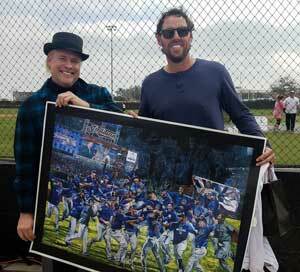 As Holland has been selected to be the cover artists for both the Dodgers’ 2015 Yearbook and Media Guide. 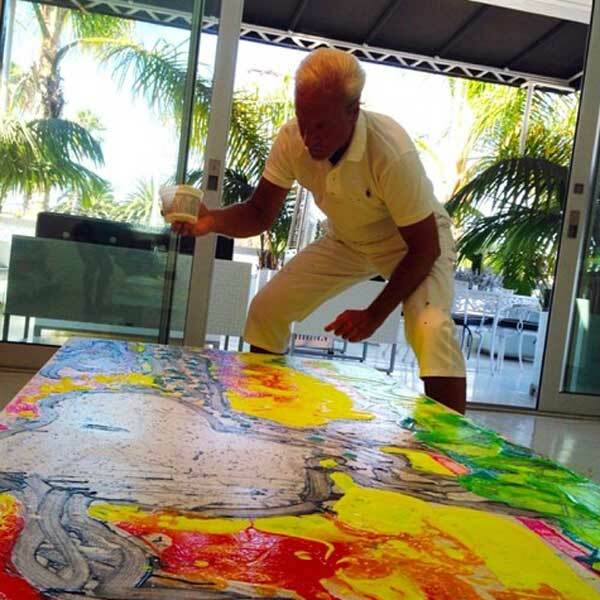 Limelight Agency is a full service artists agency offering global distribution, publishing and marketing for celebrity artists and the artists of celebrity; Stephen Holland painter of sports and celebrity icons, Opie Otterstad painter of the who's who in sports, and Legendary Rock Photographer Robert Knight. SPS LIMELIGHT agency is a sister agency of Sports Placement Services (SPS) best known for the representation of icon athletes such as Muhammad Ali and Sandy Koufax. LIMELIGHT Agency specializes in the full representation of celebrity artist and artist of celebrity. 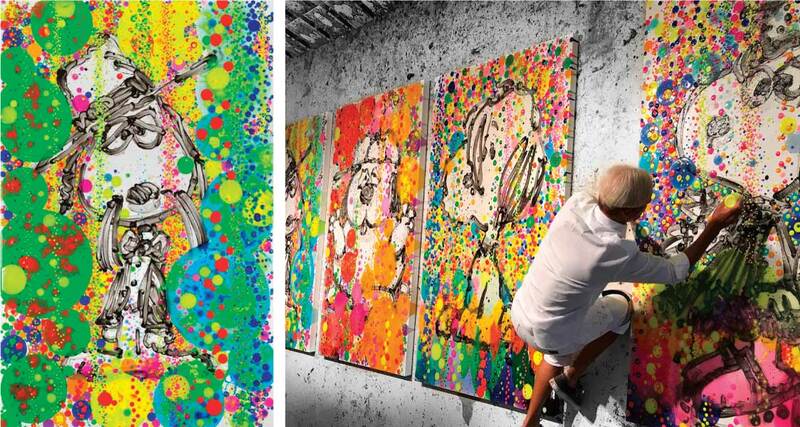 In addition to being a full service agency Limelight publishes and distributes art to galleries world wide.